Very first Donna Noble vid, made for a very special person <3 Mah Wifey. I haven't vidded in ages but am kinda proud that I finished this :) Hope u enjoy! A new round over at twelvecolonies has started and u should totally check it out. twelvecolonies is a BSG landcomm. There are challenges for graphics, fanfiction, vidding, whatever tickles ur fancy, and u compete in different teams against the other peeps in the comm. U can choose between Team Colonial One for Madame Prez (were there other Presidents? I don't think so :p), Team Galactica for the Admiral and his brave viper pilots and Team Basestar for the Cylons. 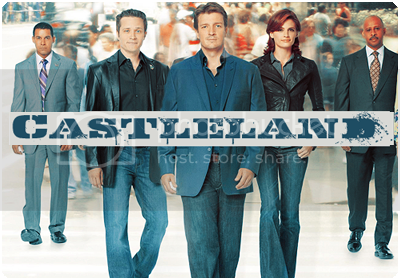 Then there also is a Castle landcomm called castleland . The new round just started. If you like graphics of all kinds, writing fanfiction, vidding, playing games, and most importantly Castle, then u should definitely join this comm :) U can choose between Team Castle, Team Beckett, Team Ryan and Team Esposito. Come and join the fun! This page was loaded Apr 19th 2019, 12:38 am GMT.